Defense Secretary nominee James Mattis testifies before Senate Armed Services Committee on his nomination on Capitol Hill in Washington D.C., the United States, Jan. 12, 2017. The new U.S. Secretary of Defense, retired Marine General James N. 'Mad Dog’ Mattis, won't be shy in taking a tough stance toward Russia. It is believed that he will live up to his brash reputation and plans to meet Russia head-on, yet he remains open for cooperation and is willing to be pragmatic. During his years of military service, U.S. Marine General James N. 'Mad Dog’ Mattis has frequently taken a tough stance toward Russia. He believes the U.S. should oppose Russia in areas where the two countries are unable to establish fruitful cooperation. Putin "is trying to break the North Atlantic Alliance," Mattis said, adding that the U.S. needs to take steps "to defend ourselves where we must." On the other hand, Mattis supported President-elect Donald Trump in his decision to improve relations with Russia. 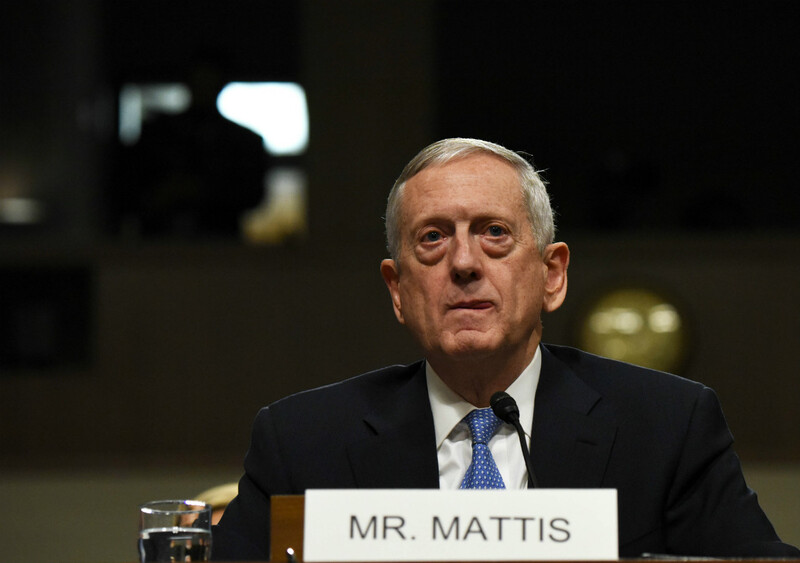 Viktor Olevich, a Moscow-based expert on American affairs, points out that Mattis belongs to that group of American military leaders who traditionally have been hostile towards Iran. “He served in the U.S. Marine Corps, and Marine generals are known to hold the most anti-Iranian positions in the American armed forces," said Olevich. ``This has been the case ever since the 1983 Beirut barracks bombings that killed 240 U.S. Marines in Lebanon. Suspicion for plotting the attack fell on Hezbollah and its patron, Iran. U.S. Marines were forced to retreat from Lebanon, and their leadership has since been looking for an excuse to retaliate." China should also expect a tough Trump administration, said Olevich. "The first harbinger of this tougher climate was the recent telephone conversation between Trump and Taiwanese President Tsai Ing-wen, as well as Trump’s choice of candidate to head the National Trade Council - Peter Navarro, the author of a book with the provocative title, ‘Death by China,‘” he explained. Olevich also believes that the anti-Iranian and anti-Chinese sentiments in the Trump administration will impact the future of Russian-American relations. "Both Tehran and Beijing are Russia’s strategic partners, and one could expect that the new U.S. administration will hope that an improvement in relations with Russia will lead to a deterioration in Moscow’s relations with Iran and China," the pundit predicted. Another expert in American affairs, Boris Mezhuyev, pointed out that as a political figure Mattis is a dubious asset for the Trump team. "One can hope that he has been selected for the post of the Secretary of Defense as a military man rather than as a politician," Mezhuyev told the business newspaper, Vzglyad. He is more of a typical representative of what Soviet propaganda referred to as `Pentagon warmongers." Mezhuyev added that Matthis marks the first appointment of a military man to head the Pentagon in a very long time. "The Department of Defense has traditionally been headed by a civilian, while a military man led the Joint Chiefs of Staff, but Trump has decided to break this tradition," said Mezhuyev. Incidentally, civilian secretaries of defense are usually the ones who start new wars." Mezhuyev added, however, that Mattis has so far shown himself inclined to use military force than exercise restraint. Nevertheless, he hopes that a military man at the helm of the Pentagon will be a weak political figure, and will be weaker than Secretary of State Tillerson. In conclusion, Mezhuyev thinks the Trump administration will be a very difficult one for Russia, and the country should not be involved in dividing up the world together with the U.S. Instead, it should look after its own interests. "Relations with America may cost our country dearly; anti-Iranian, anti-Chinese, and anti-Latin American sentiments in the Trump administration are very strong," said Mezhuyev. I doubt that sensible people like Rex Tillerson will be able to restrain those forces. Joint management of the world’s future with an administration like that is hardly possible. We need to protect our interests."